Secret Police (believed to be Ukrainian) staged the murder of a Russian dissident journalist in Kiev on Tuesday in what it said was a sting operation to foil a Russian assassination plot. 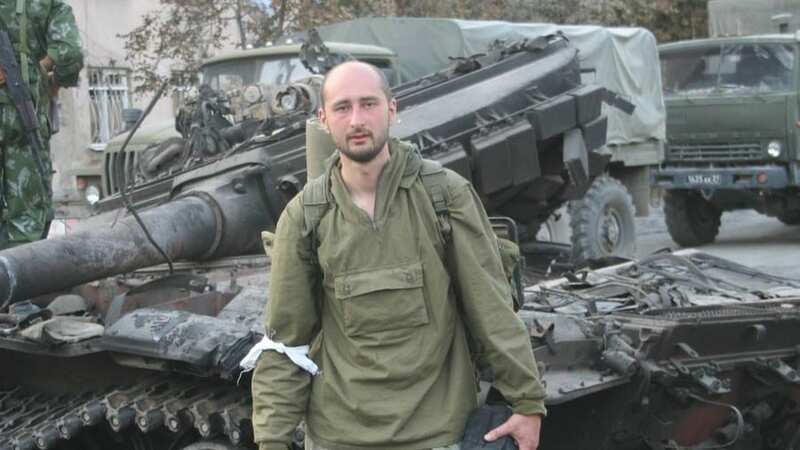 The reported killing of Russian journalist Arkady Babchenko on Tuesday in Kiev was actually a ruse played by the Ukrainian law enforcement to prevent a suggested planned hit, the Ukrainian authorities said. Reporting on the high profile case on Wednesday, the head of the SBU, Ukraine’s national security service, Sergey Gritsak said Babchenko was alive and unhurt. Less than 24 hours earlier the media around the globe portrayed the Russian forces as barbaric and villan-like mobsters. In what seems a series of incidents which are forming an anti Russian rhetoric ahead of the world cup. The every growing world influence of Vladamir Putin has ruffled a lot of feathers in UK and Washington and an anti-Russian offensive is under way. ‘Blame the Russians’ seems to be the go to phrase for 2018.
in its most simplest form, this is all about market share, as Russia becomes more influential on the world stage, American, British and European countries lose influence and revenue globally. This is evident in the middle east with Syria, Iran and Turkey and even the North and South Korea summit is all based around which countries can be part of the redevelopment of the Korea. This issue has also highlighted the demise of modern day Journalism, a story is no longer verified and it just goes to show how much the editorials have fallen over the past few decades. The very definition of fake news going viral; There can be few more glaring examples of ‘fake news’ than the deliberate misreporting by a sovereign government of a prominent journalist’s death. It was the lead story on all the major networks. Russia’s foreign ministry condemned the staged assassination, calling it “obviously yet another anti-Russian provocation”. Relations between Russia and Ukraine are at an all-time low, following Moscow’s annexation of Crimea and the ongoing conflict in eastern Ukraine. But this staged death will inevitably muddy the waters. Russia already denies any involvement in the attempted assassination of its former spy Sergei Skripal in Salisbury in March, calling it fake news. It has prompted the social media world to go into a frenzy and claim so many other points in history as fake news, even as far back as the Iraq war and more recently the Salisbury poisoning. It is worth noting that WTX News did not jump on the band wagon and report this comical story. What is undeniable is the ultimate disaster for organisations like the BBC, who led with this story as their lead for the past 24 hours, and demonstrates how recused the editorial department has become.